Find out what is happening on your river! The Westcountry Rivers Trust is hosting an afternoon event to highlight some of the work done by the Trust on our amazing River Dart. 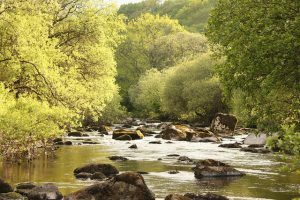 Rising on Dartmoor and flowing through some of the most iconic spots in the West Country the River Dart is an outstanding environment with some hidden gems. Please come and find out about what we have been doing to improve and celebrate the river as well as what you can do to help! 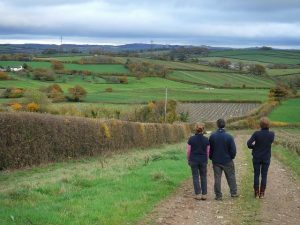 Annabel Martin – Agricultural Officer – A review of the agricultural work underway to improve water quality from source to sea and what WRT can provide. How can land management slow water down so it picks up less pollutants and reduces flooding further down the river? Olivia Cresswell – River and Fisheries Officer – A review of fish populations on the Dart and some of the work to improve their lot. How are fish populations impacted across the catchment and what does prevention and cure look like? Simon Browning – Evidence and Engagement Officer – A review of the monitoring work of communities up and down the river and what you can do to help. 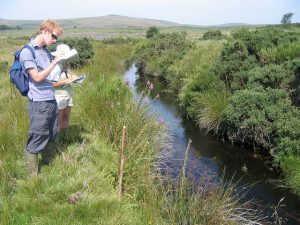 What do we know about our rivers and how you can get involved? Please contact olivia@wrt.org.uk to book a free place! Risk Aqua Soil – This event is funded in part by the Risk AquaSoil project looking at improving catchment resilience. The project was selected as part of the European Regional Development Fund (Interreg Atlantic Arc) programme. Well done for organizing this. I hope to attend to represent British Canoeing. This kind of paddling is immensely popular in the winter closed season and it would be good to acknowledge this but also to look at what part paddlers can play in improving the health of the river. Thanks Pete, looking forward to seeing you there!